Looking for a incredible Southwestern Mountain view??? Located on the 10th fairway of the world class Mountain Course at the La Quinta Resort this Seville plan has it all! Attractively remolded in an contemporary mode this home boasts a huge 2286 open floorplan, vaulted ceilings, dual master suites, plantation shutters, remodeled kitchen and baths and a pool table too!!! The courtyard opens up to a private casita, great for family and friends! Enjoy evening BBQs on the rear terrace overlooking the fairway. This 3 BR, 3.5 bath home is a perfect spot for large scale entertaining. 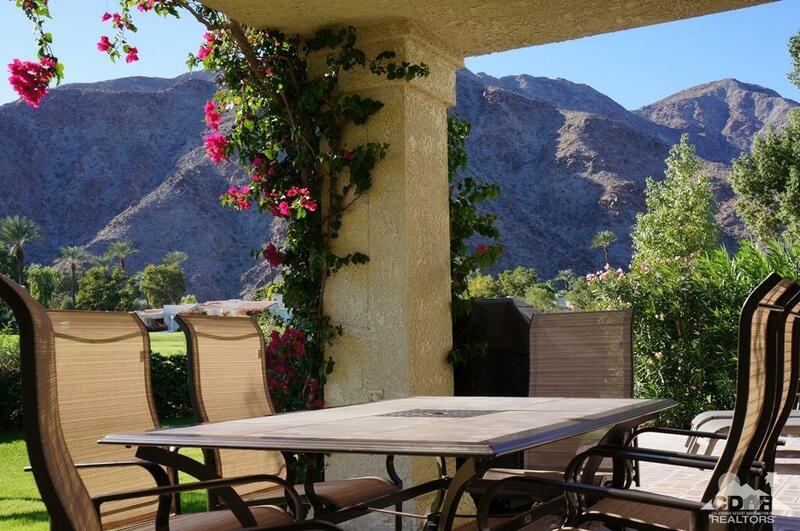 Close by to the pool, club house and driving range, make this spot your Desert getaway! Listing provided courtesy of Diana Vietor of California Lifestyle Realty.